The University of Newcastle’s Professor Behdad Moghtaderi has been awarded an Australian Engineering Excellence Award for the development of the world’s first large scale testing facility for ventilation air methane abatement. Professor Moghtaderi and his team designed and constructed the $10 million, 100 metre detonation tube as part of a larger project focused on fugitive methane emissions, for mining operations in particular. Professor Moghtaderi said the demand for this technology was high and up until now, no facility existed to do this upper end of testing. 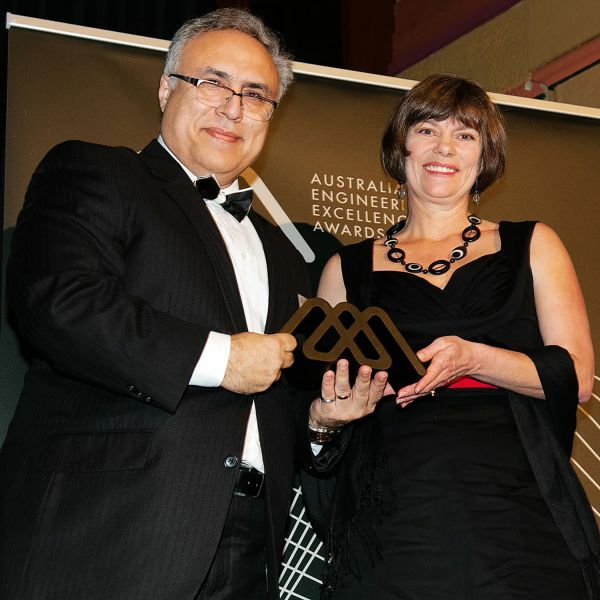 The 2018 Newcastle Region Engineering Excellence Awards on Friday 27 July at Newcastle City Hall, showcased contemporary engineering and technology, and celebrated ingenuity and innovation.